Borderline resectable pancreatic cancer (BRPC) appears to be most frequently related to a positive surgical margin and has a poor prognosis after resection. 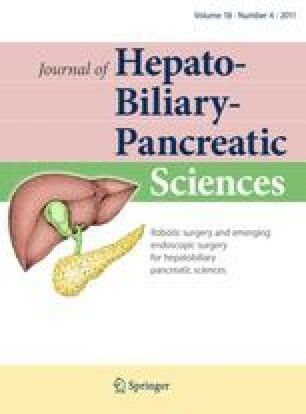 However, few reports are available on differences in tumor characteristics and prognoses among resectable pancreatic cancer (PC), BRPC, and unresectable PC. Records of 133 patients resected for pancreatic ductal adenocarcinoma and 185 patients treated as locally advanced PC (LAPC) were reviewed. Twenty-four patients who initially underwent resection (BRPC-s) and 10 patients who were initially treated as LAPC (BRPC-n) met the criteria for BRPC. Prognosis of BRPC was significantly better than that of unresectable PC, but was significantly worse than that of resectable PC. BRPC-s showed more frequent nerve plexus invasion (P < 0.01), portal vein invasion (P < 0.01), and loco-regional recurrence (P = 0.03) than resectable PC. The positive surgical margin rate was not significantly higher in BRPC-s (29%) than in resectable PC (19%) (P = 0.41). BRPC had a poorer prognosis with more local failure than resectable PC although prognosis of BRPC was significantly better than that of unresectable PC. Considering the tumor and treatment characteristics, multidisciplinary treatment including resection is required for BRPC.